A new looking Indian Team will carry the entire nation's hope when they face the visiting Oman side at the Kanteerava Stadium, Bangaluru on Thursday for their first match in the Join qualification for 2018 FIFA World Cup Qualifier and AFC Asia Cup 2019. The task will be tough against a strong Oman side lead by the ever so reliable Ali Al-Habsi. Apart from the home advantage, Team India will have a relatively new face under English coach Stephen Constantine. A couple of new players making the cut for the Blue Tigers based on Constantine's instincts and judgement, makes the team an relatively unknown threat to the opponent. The last time the two teams met, India walked out with an inspired draw in Muscat. Since then, there has been a lot of change and one must say, it is Oman who can be marked with a steeper development curve than India. Nevertheless, Team India will not be any pushovers especially playing at home. Each and every players knows that their place is never for granted under the re-appointed English coach and they will look to make every chance count. 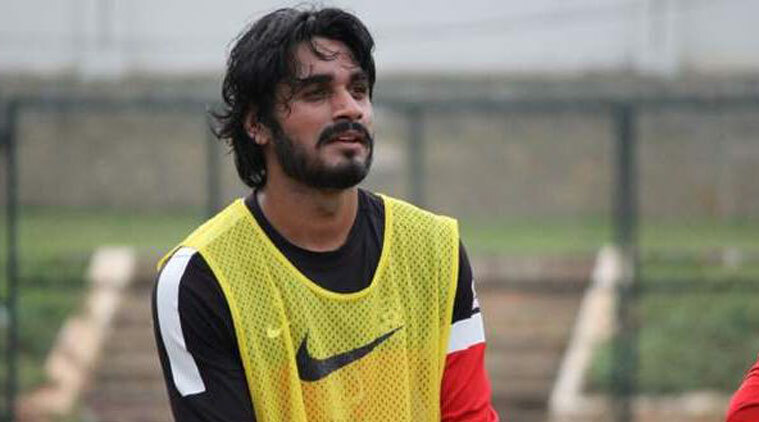 Promising defender, Sandesh Jhingan will miss the clash against Oman and Guam, after MRI reports confirmed a tear for the Kerala Blasters reliable centre-back, an injury he has been carrying since last edition of Hero Indian Super League(ISL). 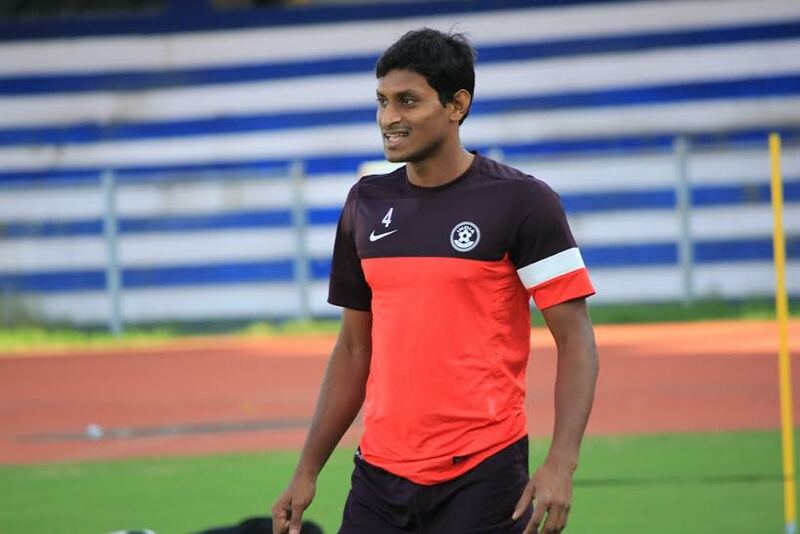 After Subrata Paul was given the armband against Nepal, East Bengal defender Arnab Mondal has been named the skipper for Oman and Guam clash. "It's a rare honour for me and I want to thank Coach for giving me this honour. But this doesn’t change anything. Everyone is a Captain in their own right – right from the Coach to the other Players, the support staff. It’s not about an individual. It’s about the Team," said Arnab. armband for the Oman and Guam clash. As a part of preparation for the tough clash, Indian Team were trained by the Indian Army which helped the team gain mental strength. "It was a new experience for us. It handed us the opportunity to test our mental limits and to see how we would perform under pressure," said the newly appointed skipper. Speaking about Oman's dominance, Indian coach Stephen Constantine said, "we will be without the ball for long periods of the game. The boys would be under pressure from the very first minute by a very good Oman Team. Oman have always been a very good side and I have always have a lot of respect for them. They are not the biggest Nation in the World but the developmental process which has been on in the Country speaks for itself." "Oman have always been a very good side and I have always have a lot of respect for them. They are not the biggest Nation in the World but the developmental process which has been on in the Country speaks for itself," Constantine added. Standing 40 places above the ladder in the latest FIFA Rankings, Oman Head coach Paul Le Guen played down the importance of rankings. "I don’t care about the FIFA Rankings; all that matters are the 3 points that are at stake tomorrow," said Le Guen, the French Coach of Oman National Team. He also warned his team against any complacency and spoke highly about the Indian Team. "India have a good Team. They deserve to be here. They have good Players and their Team is improving. The Indian Team are like fighters, they love to play Football and they are physically ready. But we want to beat them. We need to defend well and maintain the balance of the Team because that is pivotal for us. We have to be concentrated and at the top of our game tomorrow," he added. All in all, it is scripted to be a frantic encounter and Indian team will have to give their very best in order to get a good result. Its certainly not an impossible task and if the team play as per the strategy chalked out by the coach, an upset is on the cards. The match kicks off at 7 PM IST at the Kanteerava Stadium, Bengaluru on Thursday, 11th June 2015. The live telecast will be on Sony Six from 7PM IST Onwards. Match tickets available on Kyazoonga.com.